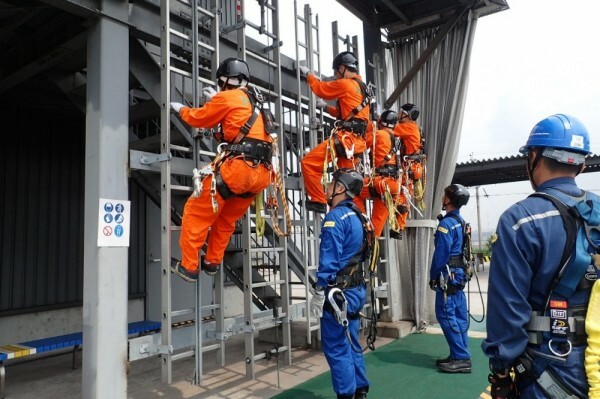 i.e., Manual Handling, Fire Awareness, Working at Heights, First Aid and Sea Survival. 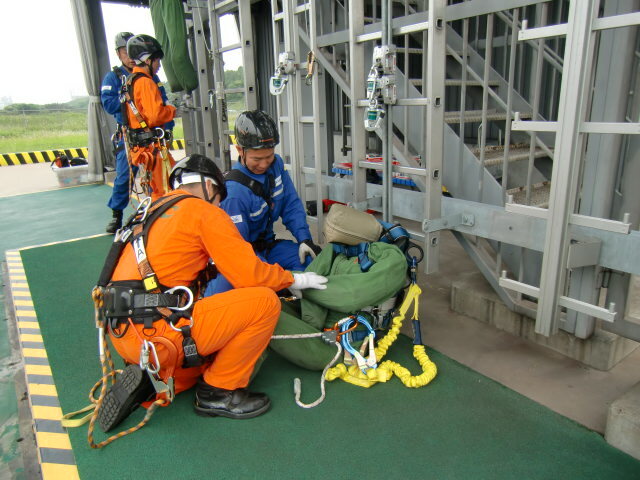 The training this time was delivered 4 modules excluding Sea Survival. I would like to introduce highlighted scene from the practical training of Working at Heights, which is a big feature of BST. 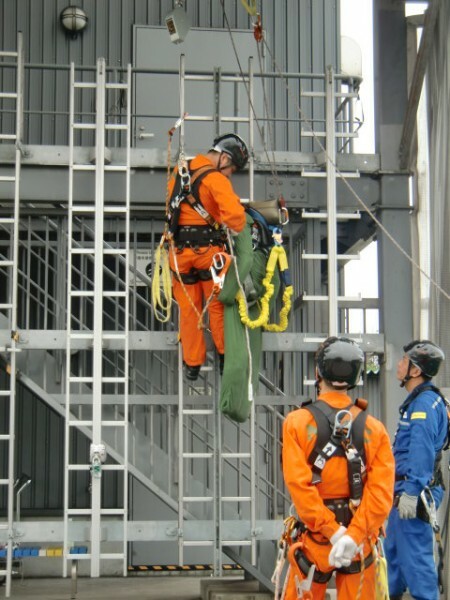 Rescue of casualty inside of a ladder using a rescue dummy. Learning how the casualty should be treated after been descended. Let me share one of the comments from the delegates. The training was the first GWO 5 day course since we had launched GWO full training in April. 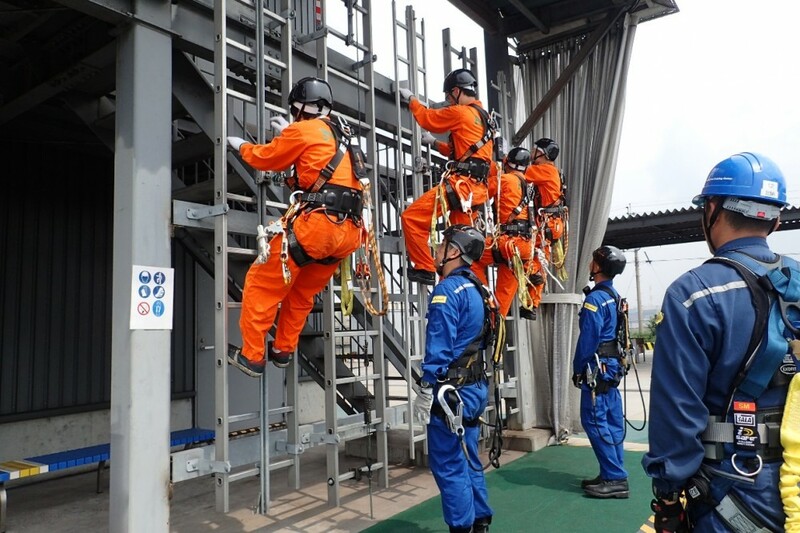 We will try our best to improve the quality of the training. We are looking forward to receiving inquiry from the personnel working within the wind industry.